Phryne then finds that she has rescued a gorgeous Chinese man, Lin Chung, and his grandmother, and is briefly mistaken for a deity. Denying divinity but accepting cognac, she later continues safely to the theater. 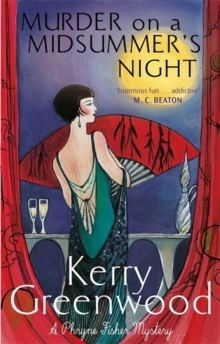 But it's an unexpected evening as her night is again interrupted by a most bizarre death onstage. 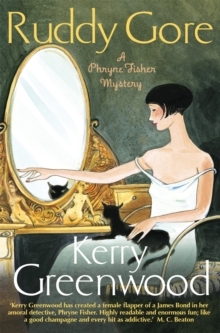 What links can Phryne possibly find between the ridiculously entertaining plot of Ruddigore, the city's Chinese community, and the actors treading the boards of His Majesty's Theatre? 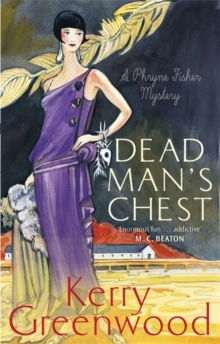 Drawn backstage and onstage, Phryne must solve an old murder and find a new murderer, and, of course, banish the theater's ghost, who seems likely to kill again.